Marisa with Buster sitting on her lap. Yes, he’s as big as he looks! 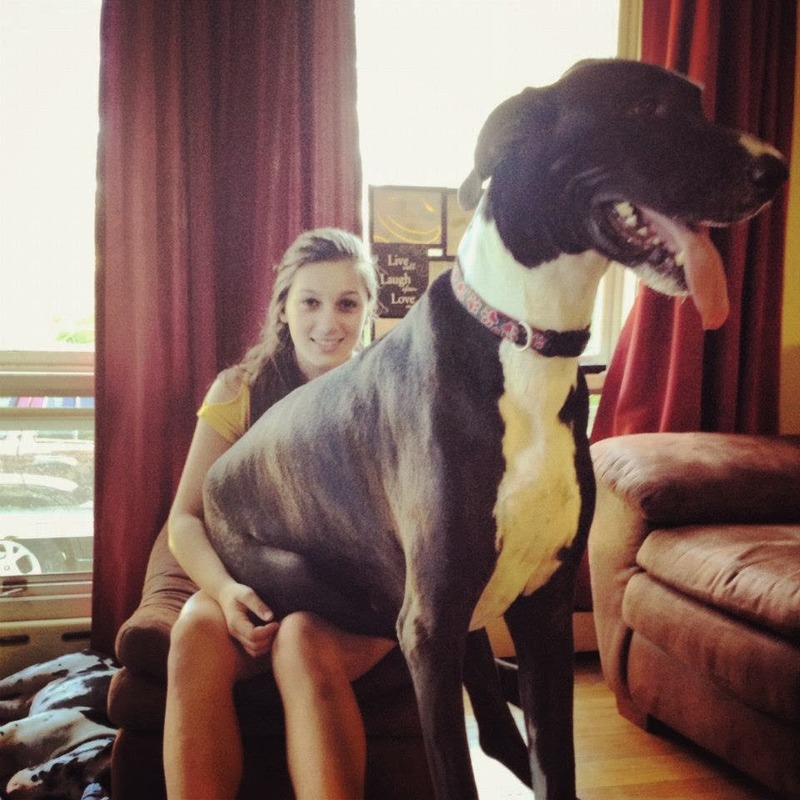 On Sunday afternoon my niece Marisa’s 160 pound Great Dane, Buster, had what the vet considered a stroke while playing with his brother Ziggy in their back yard. He was jumping and enjoying himself and then couldn’t move his back legs. I say Buster is Marisa’s because since Buster became a part of the family, he has always had a special bond with Marisa. He is protective of her, sleeps in her room, sometimes in the same bed if you can imagine, and is her best friend. Obviously the entire family was extremely upset that this happened to their family member. If you never had a dog, you may think this is sad and feel compassion, but until you own a dog and know how deeply a dog can enter your life and your heart, it’s hard to feel the devastation when your dog is hurt or dies. The first dog that I personally owned was Brutus the Barber Beefcake Cammarata, named after the wrestler of course. He was kind of old when my boys came into his life, but they could tug and sit on him and he would take it all in stride. When Brutus died in 2003, I vowed I would never have another dog because it hurt way too much losing him. Plus, I had very bad allergies, which made it tough to have a dog in the first place. Nick especially always begged for another and when he was sick, we said we would get one when he was better. Life had other plans. Dogs love unconditionally, they respond to your needs before you even know you have them, and they are the perfect pillow for you to shed tears on. They are healing, they are forgiving and they teach us that sometimes you have to let the harshness of life roll off you. 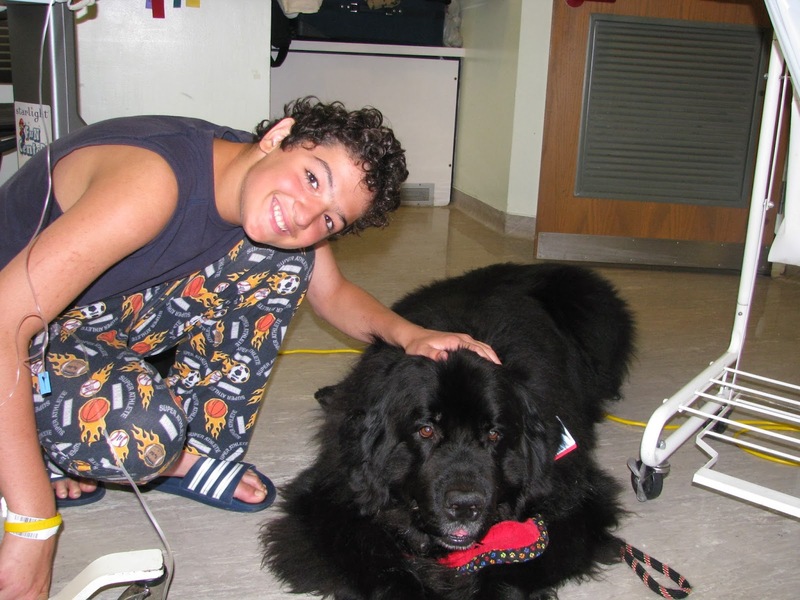 When Nick was in the hospital, a therapy dog name Yogi was one of his first visitors. Having that big dog in his hospital room brightened Nick’s day and Yogi calmed him, too. He just hung out and let Nick touch him. Dogs heal when we don’t even know it. Ben Mayo, who I have written about, had just come out of brain surgery and the nurses placed a dog on his bed and his hand on the dog. His parents were shocked by this, but amazed that Ben’s blood pressure lowered dramatically and he slept peacefully. Dogs sense when something is wrong with us or when there is danger. Libby never slept in Sammie’s room. 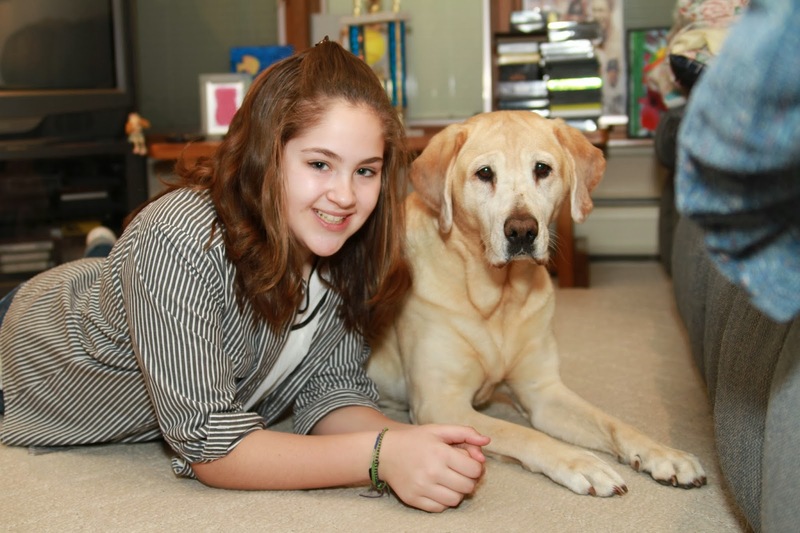 About a month before Sammie was diagnosed with cancer, Libby started sleeping in her room. 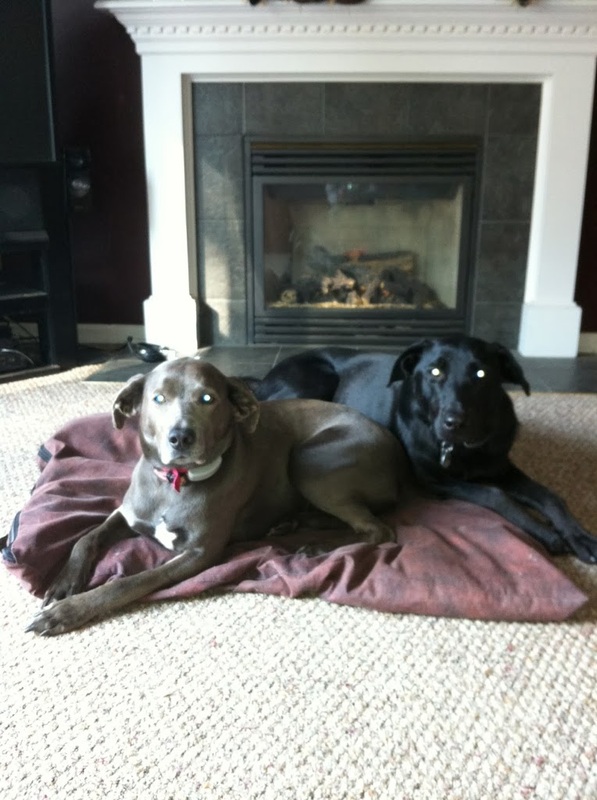 When Sammie would go to treatment, Libby would pine for her and then stay by her side when Sammie was home. Libby is getting old now and she has diabetes. She requires a lot of care, but the family doesn’t mind because of all the love that Libby has given them. Dogs are a part of the family. 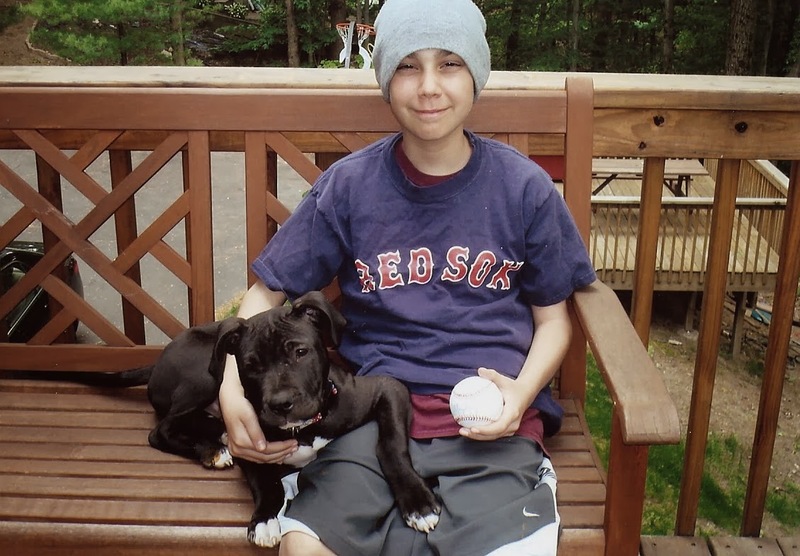 Luke Romano got Manny after he was diagnosed with Lymphoma. Manny was Luke’s best pal and I think kept Luke around longer than he may have during his seven year battle with cancer. Manny died before Luke did and Manny was waiting to greet Luke when he passed away. This dog was loyal to Luke and came into this world to be a part of Luke’s life. 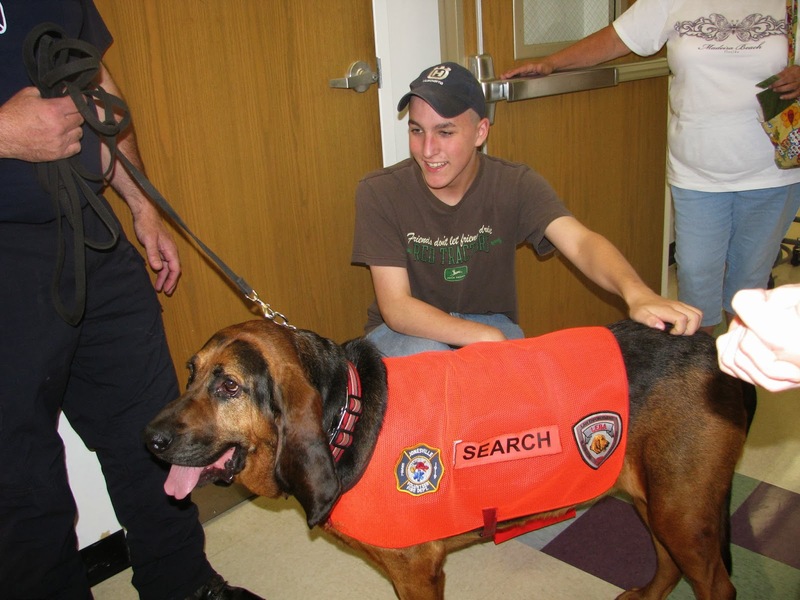 Josie, a Search and Rescue Bloodhound worked with firefighter Jim Miller and came down to The Melodies Center at Albany Medical Center to visit Danny who was a volunteer fire fighter and loves dogs. Seeing Danny’s face light up, you know that Josie helped Danny have a better day. Sadly, Josie just passed away. She went on over 40 search and rescue calls. She will be missed, but what an amazing and dedicated dog. Less than three months after Nick died, I had to run errands on a Saturday afternoon. I was having an especially hard time and changed my itinerary and list multiple times before I left the house. On my way to Hannaford, I stopped my car to let a woman cross the parking lot pushing a shopping cart. She was heading into PetSmart and all I could see was a gray bundle of fur in her cart. Without thinking (synchronicity works that way), I parked and went into the store which was having a pet adoption clinic. I found Zoey who was named Smokey at the time in a box with her multi-colored brother. I picked her up and felt like I had come home. I called Luke and told him to bring Stephen to PetSmart. Stephen has always been a little afraid of animals, so I had to make sure that he was fine with her. He was and we adopted Zoey Shadow. My pet name for her is Zoenia Maria Cucina Cammarata. Just because I like how it sounds and she’s like an Italian princess sometimes. Zoey has always been mine. She sat with me in Nick’s room while I mourned for my son, I took her for endless walks trying to get through my sadness, and her adorable smile made me laugh. Since Zoey was so attached to me, we decided to take the plunge and get another dog for Luke. Ironically, Stephen and I found Dakota Kenny when Luke was out of town. Zoey gave the paws up and we took this poor malnourished baby home. Dakota reminds me that life is too short to get upset over chewed furniture, torn beds, or pee all over the floor. Zoey has come to terms with the crazy animal that now lives in her house. They are so different, but my love for them is enormous. We go on walks together and they keep life in perspective. Not saying that my dogs are sharks, but if we think too much of the responsibility or how our lives would change, we wouldn’t have these wonderful animals in our lives and we wouldn’t know the true meaning of unconditional love. We would miss out on the pearl. 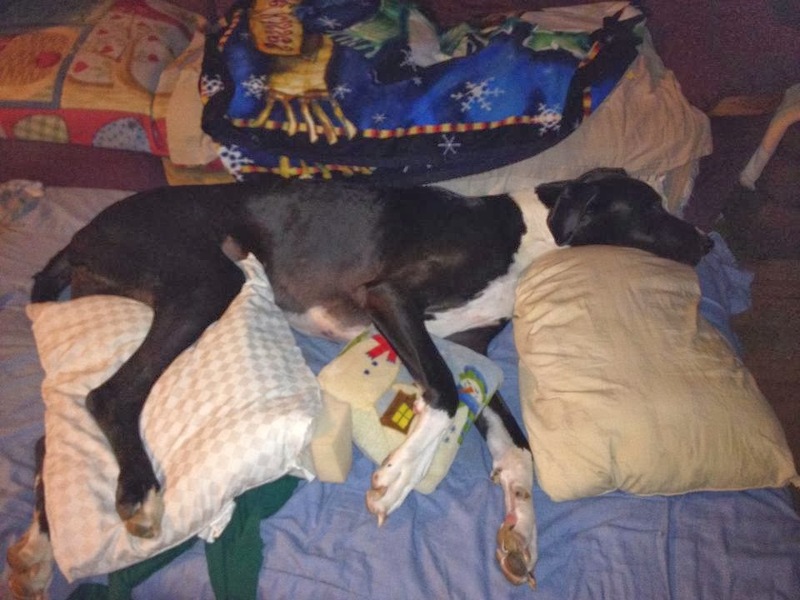 On a final note, Buster is home where he can get the love that only his family can provide. We hope that he will get movement back in his hind legs and he’ll be able to run around with his brother, Ziggy. We are cheering for you, Buster! I would love to hear how a dog has blessed your life.